Everything your sales reps do, from first contact to closing a deal, generates data. How you compile and disseminate that data plays a major role in the current and future success of your team. With the right tools, you can use the data gleaned from day-to-day operations to improve the sales productivity of your team, from top to bottom. 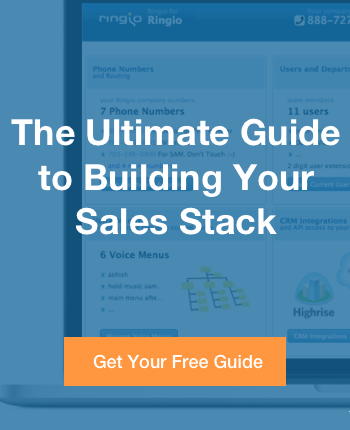 Your sales dashboard can be the most valuable tool in the office, if it’s used effectively. The key to success is cutting out the fluff, and presenting actionable information in a way that your whole team can grasp. With a powerful sales dashboard, you don’t need a degree in statistics to parse the reams of data your team generates each day. Your dashboard allows you to analyze team performance, spot high performers, track progress with prospects in real time, and keep your finger on the pulse of your office. It just happens to work most effectively when you follow a few basic best practices. Big data can be overwhelming, even for the statistically inclined. When you’re presented with too many numbers at once, it’s often difficult to separate the value from the noise. Unlocking the power of your sales dashboard requires an honest look at which metrics are most important to the success of your team, and how you measure sales productivity. Each metric you include adds complexity and demands time from the people using your dashboard, so choose carefully. What you leave out is just as important as what you include. Give your team the numbers they can handle and include the most important KPIs, but avoid the temptation to include added metrics just for the sake of it. Every successful sales team has a focused plan of action. Use your sales dashboard to compare your team’s actual performance to the goals of your planning. If an element of your plan is under-performing or beating expectations, your dashboard will help you identify the cause. It’s also important to put current performance in context, based on how your team has performed in the past. Over time, the data collected by your dashboard will give you a strong point of comparison for current performance. If you have archived KPI data from before you began using a dashboard, all the better.